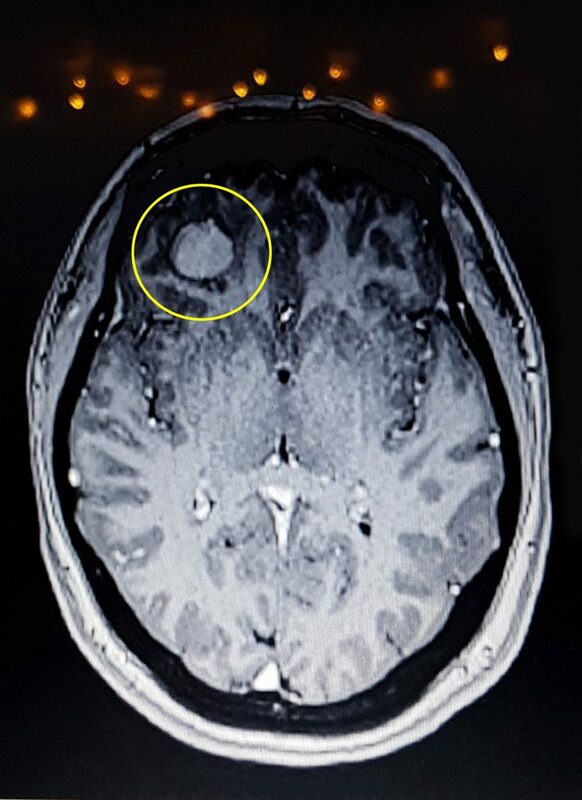 A mum is thanking her car crash for saving her life after it helped detect a deadly golf ball-sized brain tumour. Elaine Lee-Tubby, 47, from Buckfastleigh, Devon, was taken to hospital with suspected soft tissue damage to her skull following her car accident last January. Doctors assumed the mum-of-four had suffered a brain injury after she began suffering from severe headaches and was quickly referred for an emergency MRI scan after her crash. But Elaine was left shocked when she was finally diagnosed with a brain tumour that had been growing for a number of years. 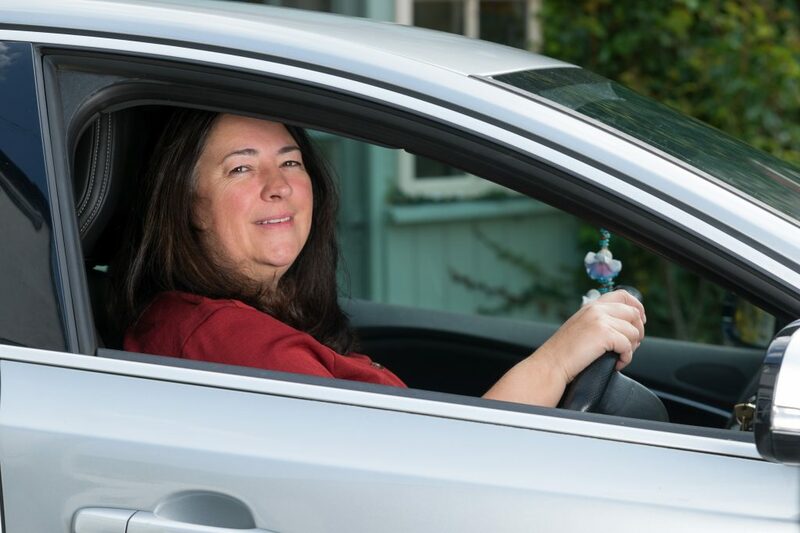 She is now thanking her car crash for saving her life as it prompting her MRI scan – something she might never of had if the car crash hadn’t have been so recent. Elaine’s brain tumour is being closely monitoring as it’s behind her right eye and she’ll decide in the future about whether to undergo surgery. Elaine, a marketing executive, said: “I was stunned by the results – I had no idea what so ever that I had a brain tumour. 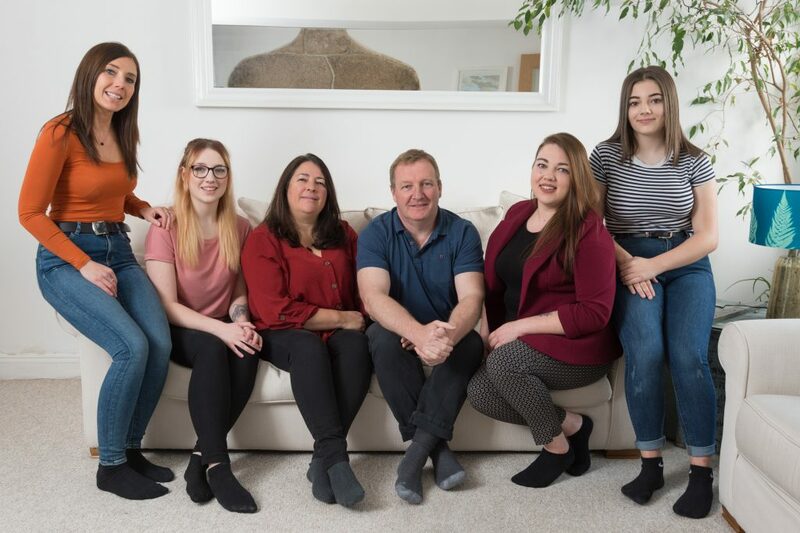 “It was completely out of the blue and, had it not been for a freak road accident, I wouldn’t have known that I was living with the golf ball sized tumour. “I was driving to work one morning [January 2017] when someone jilted me at a junction as they didn’t see me. Elaine’s tumour was classified as a low-grade meningioma meaning it was a slow growing tumour – whilst it is currently benign, there’s potential it may turn cancerous. “My tumour is located behind my right eye, meaning surgery is very risky, so I opted to ‘watch and wait’ and was told I would need to go back for an MRI in nine months. “With going for the ‘watch and wait’ option it meant I could continue with my life, with the other options in place if needed in the future. 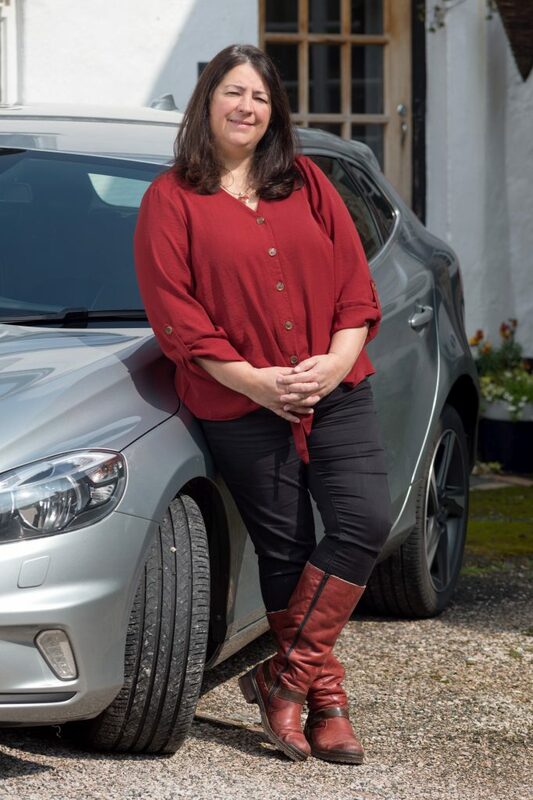 “I’ve realised how lucky I was that a freak car accident led to my diagnosis – I dread to think what could have happened if it had been left undetected. Elaine’s most recent scan – which was in October 2018 – found there has been minimal growth of Elaine’s tumour which meant she wouldn’t urgently need surgery. She added: “It can be difficult to live with but I am doing things most people reserve for retirement and enjoy life to the full. “After my diagnosis, my partner of 33 years, Shawn, 49 – who I have four children with – and I decided to get married; it was the most magical day. “My family have been an amazing support system – especially my sister, Shelly, 51, who’s actually battling breast cancer herself. Elaine and her friends and family have been raising money for Brain Tumour Research and has raised over £2500. Despite her tumour, Elaine is determined to keep living her life to the fullest. She said: “Keeping a positive mind and enjoying life are key to keeping well. “With the help of my friends family and colleagues at work I am able to continue making a difference when I can and offering help to others who are in a similar position.